BANGKOK – Thailand has enforced a new law to promote using intellectual property as loan collateral, an effort likely to make intellectual property a more valuable asset for its holders. But experts caution that the country still lacks the infrastructure of a viable IP market. The new law, known as the Secured Transaction Act of 2015, came into force on 2 July. It allows borrowers to tender more diverse kinds of assets, including IP, as collateral in their lending without having to deliver the assets to the lenders. The borrowers, therefore, are able to continue generating income from the collateral property. This is the first time that a major law in Thailand formally recognises intellectual property as collateral in lending, though the Thai government has allowed financial institutions to accept intellectual property as loan collateral for years. Before the enactment of this new law, the mortgage system only allows borrowers to place immovable property – land and houses, for instance – and a very limited number of movable assets – such as ships, floating houses, and certain kinds of animals – as collateral without having to deliver the property to the lenders. However, under the pledge system of movable property, borrowers have to deliver their assets to the lenders, and hence cannot make use of the pledged property until they repay the loan and repossess the assets. The mortgage and pledge systems still remain applicable, but the new law will allow borrowers more collateral options and lenders more opportunities in providing loans with a security. Apart from intellectual property, right of claim, machinery, inventory or raw material, or even the entire business – such as shops and restaurants – can also be used as collateral under this new Secured Transaction Act. It is believed that this new mechanism will allow people, especially those who operate small and medium-sized businesses, more access to funding sources in legitimate financial institutions. Unable to borrow from banks or finance firms which require a secured transaction in their lending, many Thai people have turned to loan sharks who charge high interest rates and often resort to violent means when the borrowers default on payment. “IP is a key source of value for business and economic growth in the global economy,” said Audrey Yap, managing partner at Yusarn Audrey, a law firm specialising in intellectual property in Singapore, whose IP market is more advanced than that of Thailand. Yap spoke in a recent seminar in Bangkok. “IP is an asset that can be used to secure loans,” Yap said at an IP Fair 2016 event on 11 August organised by Thailand’s Department of Intellectual Property in Bangkok to share Singaporean experience in monetizing IP assets. But Deunden Nikomborirak, a researcher at Thailand Development Research Institute, a private think tank, told the same seminar that since the enforcement of the new law in early July, about 50,000 to 60,000 transaction contracts have been executed under the law, but none of them was backed by IP assets. Pairat Monthapan, president of Thai Valuers Association, said Thailand lacks database and benchmark prices of IP assets, and evaluators have to spend a great deal of time and financial resources to come up with a price of an IP piece. He said the evaluation cost has been too high for many SMEs to afford. “This issue will be a major obstacle of this new law for the SMEs to benefit from it,” Pairat said, adding that financial institutions would also need to educate their staff on IP asset evaluation to enable intellectual property as loan collateral. Yap said in many countries, IP monetization has been driven by the public sector. In Singapore, for instance, its Intellectual Property Office, a government agency, would underwrite half of the value of an IP-backed loan in case the borrower defaults on repayment. She said the Malaysian and South Korean governments also play a key role in helping developing IP asset evaluation. “Usually it is government driven,” she said. IP assets as loan collateral is a new endeavour in Southeast Asia. In Singapore, the most developed nation in the region, financial institutions only started to accept patents as loan collateral in 2015. 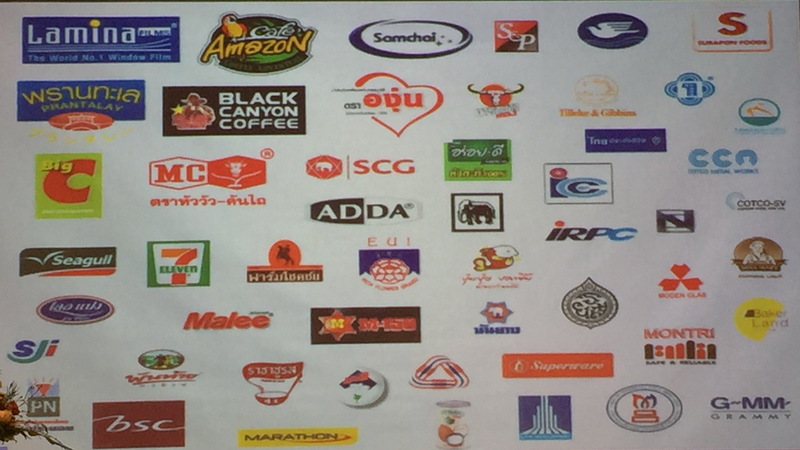 In Thailand, only 119 items of IP assets, 100 of which were trademarks, have been applied to secure loans since 2004, when the Department of Intellectual Property started to encourage financial institutions to accept IP as loan collateral, then without a specific law to endorse this kind of transactions. The total accumulated amount of IP-backed loans since then was a meagre 98.4 million Thai baht (about US$2.85 million), the department said in answering a list of questions from Intellectual Property Watch. Meanwhile, Thailand has also amended the existing Trademark Act of 1991 to increase penalties on exploiting other people’s trademarks in deceiving consumers, to allow sound to become a trademark and to speed up the process of trademark registration in the country. The amendments, coming into force on 28 July, stipulate that any person who uses packaging or containers exhibiting a trademark of another person that is already registered in Thailand for the product of his own or of other people in deceiving consumers to believe that the product belongs to the trademark’s owner shall be punished with a maximum imprisonment of four years or a maximum fine of 400,000 Thai baht (about US$11,590), or both. Previously, the Trademark Act did not include any provision dealing with such an offence, and authorities had to apply provisions under the existing Penal Code to deal with the offenders, whose punishment was a maximum imprisonment of one year or a maximum fine of 2,000 Thai baht (about US$58), or both. The Department of Intellectual Property (DIP) said in a press statement that the new offence was added to the law because such deception could be harmful to consumers, particularly if the product is food or medicine. Thosapone Dansuputra, DIP’s deputy director general, told a recent press conference that products that are most commonly subject to such trademark violation are whiskey, particularly the Black and Red labels of Johnnie Walker whiskey that are popular among Thai drinkers. He said the offenders will use the trademark and packaging of Johnnie Walker but put cheaper liquor in the bottle and sell the whiskey for a lower price. The amendments of the trademark law also permit for the first time to register sound as a trademark. It also cuts short the period of time for procedures related to trademark registration and appeals process to 60 days from the previous 90 days. The amendments to the Trademark Act also include new provisions on trademark registrations under the Madrid Protocol, which allow people to apply for international trademark registration in Thailand that could cover other countries which are parties to the protocol without having to submit separate applications in each of those countries. This will also allow applications originated in other countries to include Thailand for its trademark protection. Any person who wants to apply for international trademark registration under the Madrid Protocol in Thailand must have applied for registration in the country or must be a person whose trademark has already been registered in the country, and has to be a Thai national or a company whose head office is in Thailand, or has a residence in Thailand, or has business premises and still actively operates in the country. The new provisions on international trademark registration under the Madrid Protocol will take effect after the Thai government enacts a decree to such effect. Thosapone said this is to allow the government to make various preparations in implementing the procedures. "Thailand Enforces Law To Promote IP As Loan Collateral, Amends Trademark Law To Raise Penalty For Deception" by Intellectual Property Watch is licensed under a Creative Commons Attribution-NonCommercial-ShareAlike 4.0 International License.